Double Up double ended fluorescent yellow highlighter and twist action black ball point pen combination. 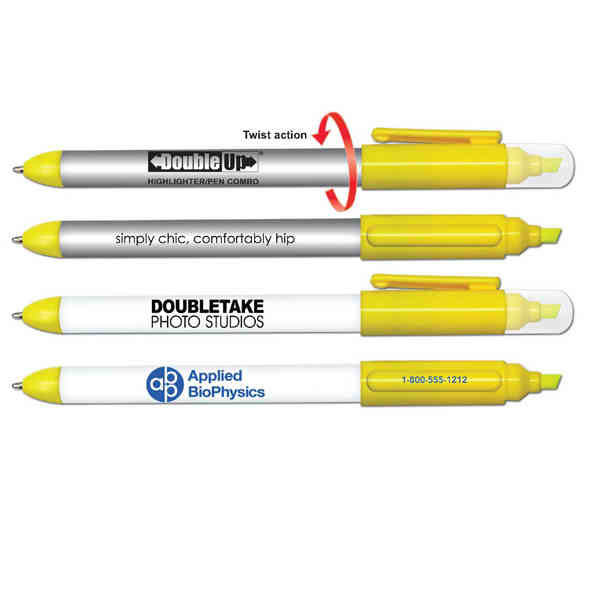 Silver or white barrel with yellow highlighter. Price Includes:one color imprint on barrel. Imprint Size:1 7/8" x 7/8", 1 1/8" x 3/16"